Tired of trying to hide your mustache or five o'clock shadow? It's time to say goodbye to the hair on your face FOREVER! is the real never shave again (as in never, ever) solution. targets hair on your lip, chin & cheeks without the pain of electrolysis, tweezing or waxing. Is less expensive than maintaining a shaving/waxing routine. Get ready for the smooth, hair-free face you've always wanted. On average clients see 95%+ results after 7-10 treatments. With laser hair removal, abrasive blades and painful waxing will become a distant memory. You’ll get the permanent results you’ve always wanted without the risk of razor burn or embarrassing ingrown hairs. Your time is too valuable to keep wasting it on outdated hair removal methods. Plus, there’s no need for you to walk around with embarrassing stubble between appointments! Unlike electrolysis or waxing, you can shave between treatments! Laser hair removal is less expensive & less time consuming than an endless routine of waxing, tweezing, or shaving. Be Fearless. Never worry about people noticing the stubble on your lip or chin again! Get rid of pesky facial hair forever. Comfortable Treatments. Goodbye hot wax and razor burn. Our lasers use a comforting cooling mist and are gentle enough to use on the delicate skin of the face. Ditch the Razor. Permanently. With Milan’s exclusive Unlimited Package™, your results are guaranteed for life. 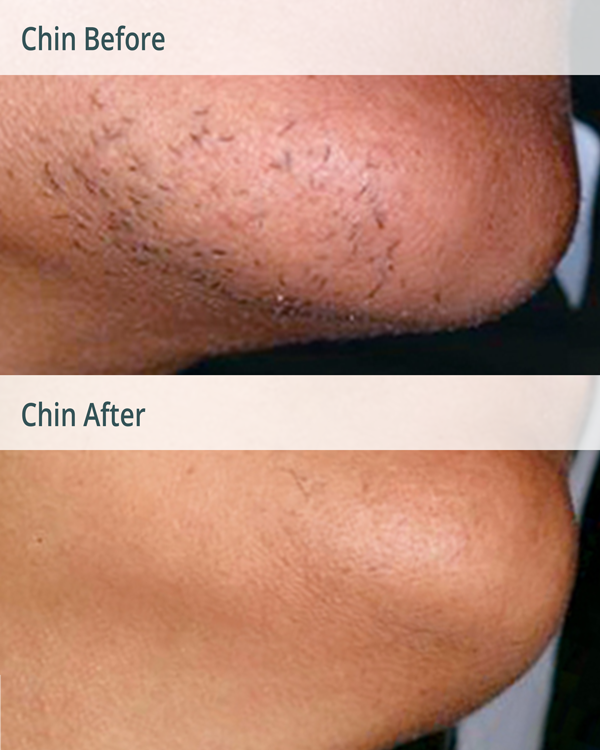 Laser hair removal is the best solution to unwanted lip or chin hair. Schedule your free consultation to learn more about laser hair removal today!